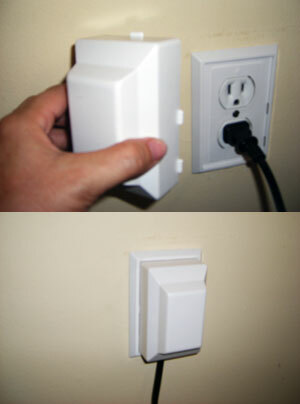 Regular size box cover developed to keep regular plugs out of sight and out of reach of children. Available in center screw only. Comes with backing plate and removable box.